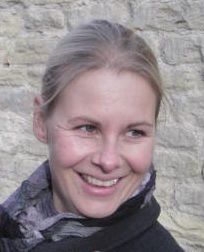 Iljana joined Bournemouth University’s Department of Applied Sciences in 2012. She currently holds an MSc in Educational and Organisational Psychology from the Ludwig Maximilians University in Munich, Germany. Prior to joining BU, Iljana worked as a researcher for the London School of Economics on a Defra funded project focusing on behaviour change in environmental and food risk situations. Her PhD project focuses on understanding factors influencing individual sustainable consumption behaviour and how these factors could promote a sustainability transition. Currently Iljana is examining the influence of social networks on sustainable food shopping behaviour through the application of social network analysis. The empirical data she is presently collecting will provide answers for this part of her research project and inform the next phase of research. The second phase of her PhD project will involve building an agent-based model to examine how social networks can influence a sustainability transition in the area of food shopping. The findings of Iljana’s PhD project can be applied to inform policy decision making in the area of sustainable food consumption behaviour change hereby helping to promote sustainable development. Sustainable development is currently one of the key frameworks governments and international organisations are working towards achieving.